Free Paddle & Free Shipping! 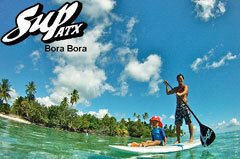 Click Here to Chat Now with a LIVE SUP Specialist! - The longer and wider the paddle board, the more stable it will be in flat water ie: lakes, bays, calm water, distance paddling in the ocean, but keep in mind longer boards can be used to surf waves, as well. This is why our Journey, Adventure and Beginner Models are the BEST ALL-AROUND CHOICE for a first paddle board. - The shorter the paddle board the better it will be for surfing waves in the ocean or surfing a boat wake, but keep in mind shorter boards are fine in paddling flat water conditions, as well. This is why our Escape and Freedom Models are great for intermediate paddlers or as a second board. - A single, longer fin is better for maintaing a straight line while paddling. Our Journey, Adventure and Yoga models all have single fin configuration. 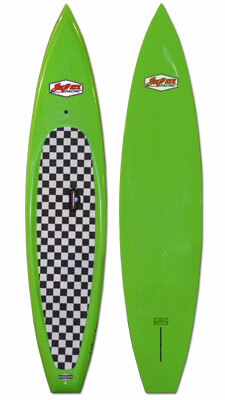 - A shorter, tri-fin configuration is ideal for maneuverability, particularly while surfing waves or boat wakes. Our Freedom and Escape Models have the tri-fin configuration and are shorter boards, making them best for more skilled paddlers. Because the Freedom and Escape models are smaller boards, they are also great for children. - A board with the entire top surface covered with EVA/memory foam is great for taking along children, pets and for exercise/yoga. The entire top surface of all Adventure, Yoga and HR Models are covered with EVA-Memory foam. 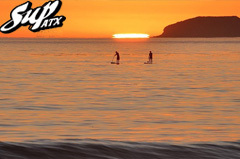 Watch the Trailer for "The SUP ATX Stand Up Paddle Journey from Malibu to Austin"
SUP ATX is the worldwide leader in manufacturing and selling paddle boards directly online, through retailers and via large national chains. There's a reason for this. By design, SUP ATX has found the perfect balance between quality, cost and volume with the benefit of first starter advantage. Put simply, SUP ATX knows how to make the best quality boards, using long lasting U.S. manufactured durable materials, has developed the most sophisticated packaging and shipping techniques and was founded by an entrepreneur-Internet pioneer who knows how to develop an online brand by connecting with and creating lasting meaningful bonds with the like-minded who care deeply and share a love for the sport of stand up paddling and its associated lifestyle. Combine all of this with the most experienced and knowledgeable management staff in the industry headed by managerial professionals. 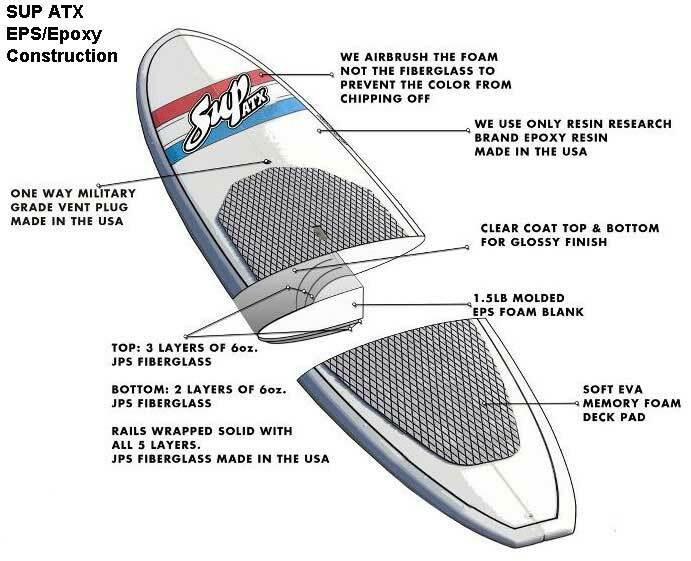 The result is a globally scalable, well-run organization that has successfully fulfilled its mission to spread the sport of SUP, from oceans to lakes and rivers, providing the best quality equipment, at the most reasonable prices possible, all backed by customer service that is second to none. 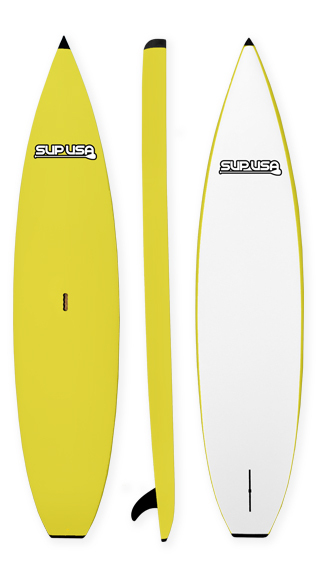 When you invest in a SUP ATX brand Board and Paddle, you're not just buying another piece of water sports equipment. You're becoming a part of a global movement and lifestyle which you and your children will look back upon in years, and even generations to come, and be proud to have been a part of creating. The sport of Stand Up Paddling (or "SUP) is so new, the terms used to identify and describe the sport, as well as the names for the boards used, vary wildly. "SUP" stands for Stand Up Paddling. Surfing is often tagged on to the end to describe Stand Up Paddling while surfing waves. 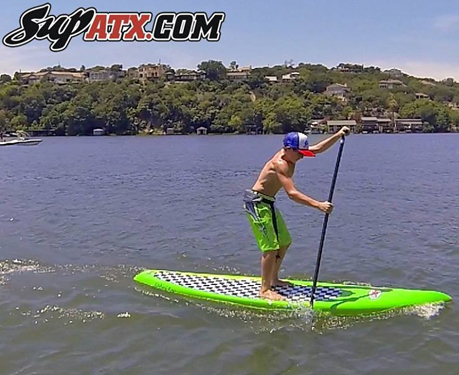 Since SUP ATX began popularizing the sport beyond the limitations of ocean surfing spots, most people Stand Up Paddle on flatwater lakes, rivers, bays, and reservoirs even more so than oceans. So, the sport is often referred to as simply, "SUP", short for, Stand Up Paddling. Often, paddle boarding is written as two words, but many people now write it as one word. Namely, paddleboard or paddleboarding, which is how the term "surfboard" came about. Initially, surf board was written as two words, but as the sport evolved and popularized, surfboards fused into one word. In conclusion, don't let all the name variations confuse you.